Screening systems can be used in various phase of kraft paper pulping system and papermaking for various grades. 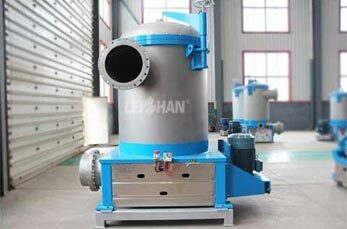 Efficient screening equipment inflow pressure screen is widely used in the fine screening of wood pulp, waste paper pulp, white shavings, etc. The production capacities of inflow pressure screen is from 25 to 900 tons per day. Its screen basket has hole and slot two types. a. Advanced structure, convenient installation. b. Low moter power consumption, high production capacity. c. Inflow structure, low pulse, good effect of homogenate. d. Automatic oil injection device, seal water detection alarm device ensure the safe running of equipment. e. Simple operation, less malfunctions for continuous working, low maintenance cost.